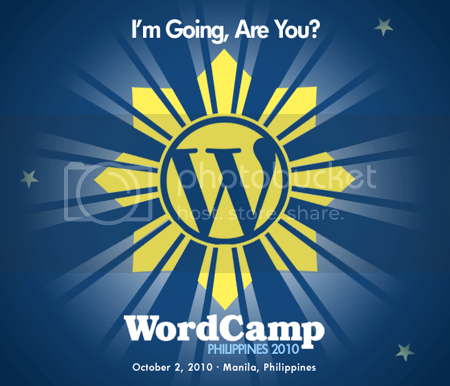 Maude's Avenue of Thoughts: WordCamp Philippines 2010, I'm in! WordCamp Philippines is one of the most anticipated blogging events in the Philippine blogosphere. It's an informal, community-organized event put together by WordPress users (well, yeah I'm in Blogger but good thing is that the event is not exclusive for WordPress users). Everyone from casual users to core developers participate, share ideas, and get to know each other. To get to know more about the event, check out their official site. If you're interested, you can register here. Hurry, few slots left!